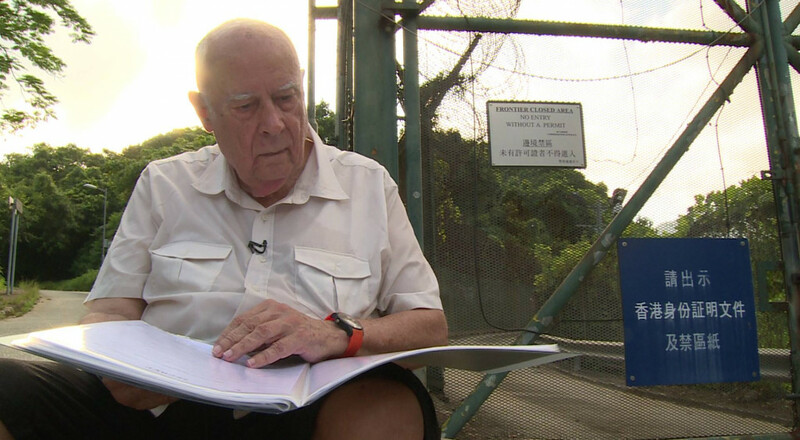 Peter Moss, a former assistant director of Hong Kong’s colonial Government Information Services department, has died in the Philippines aged 83. 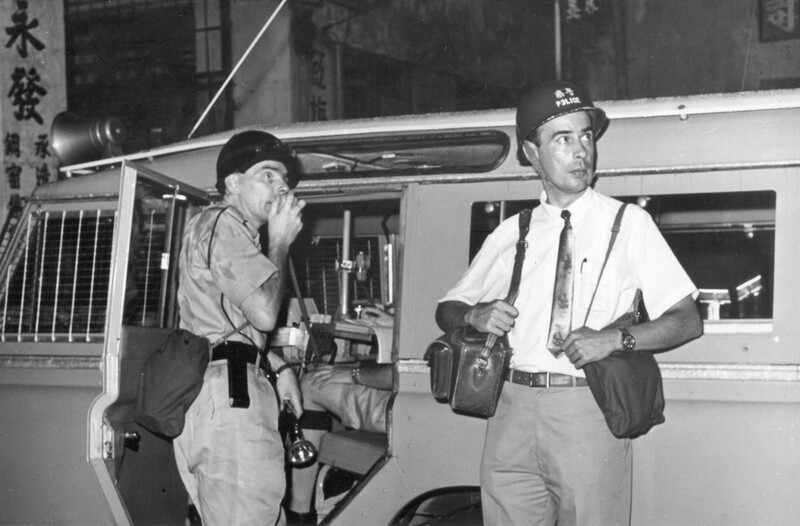 Moss, who led government staff and foreign journalists in filming the 1967 riots, died of respiratory failure at 12:40pm on Saturday at the Saint Luke’s Medical Centre in Manila. He joined the Malay Mail when he was 22 in September 1957 and worked there for eight years, before moving to Hong Kong. Peter Moss (right) in 1967 riots. Photo: Vanished Archives. Former Malay Mail sports editor Tony Mariadass, who was a friend of Moss, said on his Facebook page that Moss was taken to the medical centre on January 26, a Malay Mail report quoted Mariadass as saying. Moss was supposed to appear at the Malay Mail’s 122nd anniversary dinner last December, but fell sick after a trip. He will be cremated in Manila and the ashes will be taken back to London. Moss last updated his Facebook page on January 31. “The fortune teller told me that I will die at 84 yrs old… [and] he is right,” he wrote. 1967 riots. File Photo: Citizen News. The Hong Kong Journalists Association (HKJA) expressed its condolences. It said that Moss risked his life to record footage of the 1967 riots. 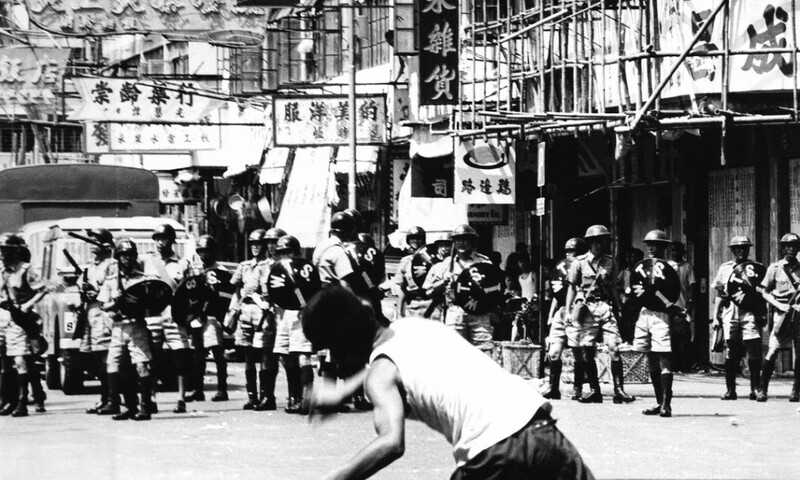 The 1967 riots refers to large-scale unrest between leftists and the British establishment in Hong Kong. What began as a minor labour dispute escalated into several months of protests, violence and murders with 1,167 bombs planted across the city. At least 802 people were injured during the unrest, and 51 died – including ten police officers. 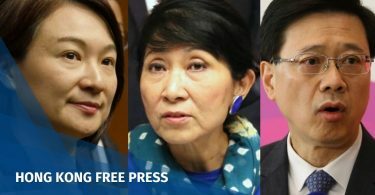 The HKJA said that there were instructions from Hong Kong government officials in the 1980s to destroy the footage left by Moss made during the riots, but Moss notified Simon Chu – who was responsible for the Government Records Service – and rescued the records. However, because of reasons yet to be known, a team producing the documentary Vanished Archives discovered in 2012 that there were only 21 seconds of the footage the could be found in the Hong Kong Public Records Building. Peter Moss in Vanished Archives. Photo: Vanished Archives. 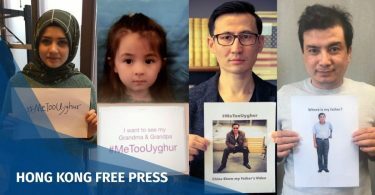 The HKJA said that, after Moss was told of the missing footage, he helped the documentary team look for information and connect with people who lived through the unrest. Correction February 21: A previous version of this piece stated that Moss was 84. In fact, he was 83.